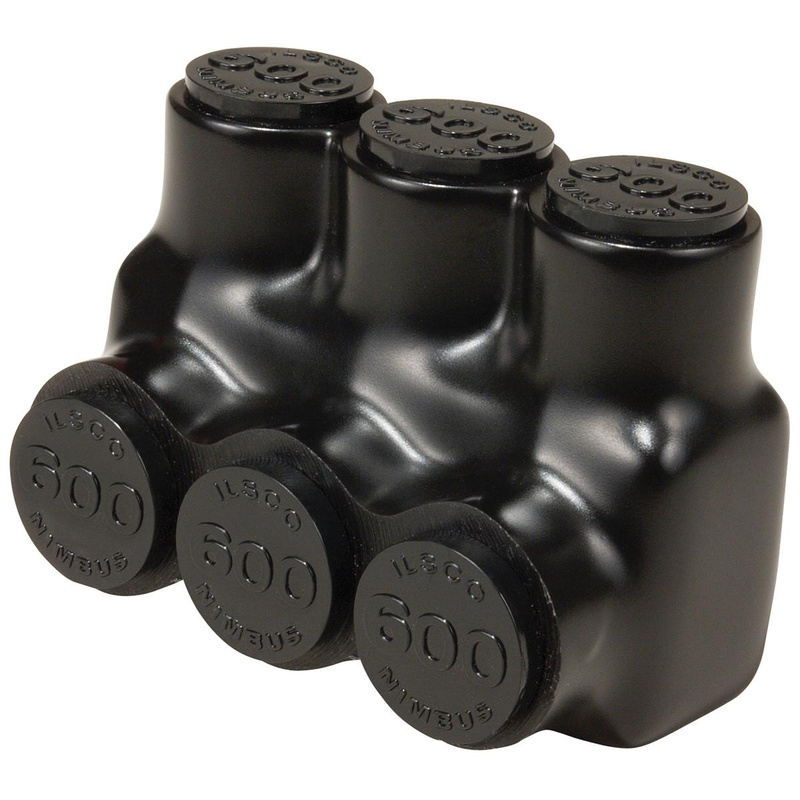 Ilsco Nimbus® Type PBTS 3-Port insulated multi-tap connector is suitable for use with copper or aluminum conductors. Connector of hex size 3/16-Inch, has single-sided cable entry. It accommodates conductor of size 1/0 - 14-AWG. This dual-rated connector in black color, features high-dielectric strength plastisol construction that is resistant to chemical. It withstands voltage rating of 600-Volts and current rating of 170-Amps. Connector measures 2.248-Inch x 1.62-Inch x 1.63-Inch. It withstands temperature rating of 90 deg C. Connector is UL listed, CSA certified and RoHS compliant.